Salsa Night! Watch. Participate. Learn. 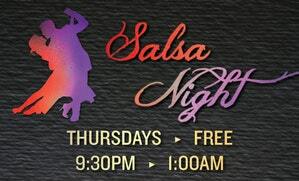 Join us for a night of Salsa Dancing in the lobby of The Rose. Free!